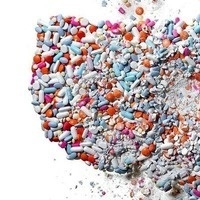 Please join Catherine Lucey, MD, Executive Vice Dean and Vice Dean for Education, for a special panel on addiction medicine and the opioid crisis. This panel is open to the entire UCSF community. It is co-sponsored by the Departments of Anthropology, History and Social Medicine, and Psychiatry. The panel is FREE but please register here for the 5:00 p.m. dinner so we can order enough food. Kelly Knight, PhD (Associate Professor of Medical Anthropology, DAHSM, UCSF) will present data from long-term research projects conducted with pregnant women and chronic non-cancer pain patients in primary care, emphasizing the relationship between clinical care and patients’ structural vulnerabilities (e.g., poverty, racism and housing instability). Helena Hansen, MD/PhD (Associate Professor of Psychiatry/Medical Anthropology, NYU) will address the ways that racial and class politics surrounding white middle class narcotics use have shaped the marketing, regulation and demographic distribution of opioids, the symbolism of opioid addiction in the popular media, and resulting drug policies.